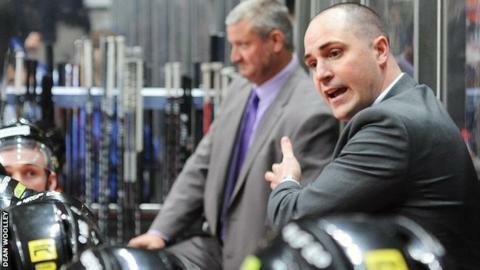 Sheffield Steelers coach Gerad Adams has signed a new two-year contract. Adams joined the Steelers on a deal until the end of the season in February and guided them to victory in the Elite League play-offs. Owner Tony Smith said last week that he was hopeful that the former Cardiff coach would stay on. "I'm thrilled. He has added something to the dressing room that was lacking and put the fun back into the club," Smith told BBC Radio Sheffield. "A couple of weeks into his reign I noticed an increase in attendances and that was very important for us as a business. "The objective now is to improve on what we did last season and I'd like to think we can add another trophy to the cabinet."